Late drama as Leeds win. 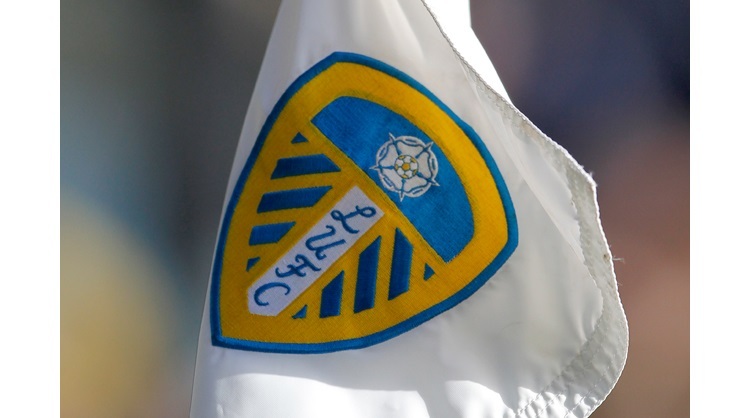 Leeds: Peacock-Farrell, Dallas, Cooper, Phillips, Douglas, Klich, Forshaw, Baker, Hernandez, Alioski, Roofe. Subs: Huffer, Roberts, Saiz, Harrison, Shackleton, Clarke, Halme. Reading: Jaakkola, Gunter, Yiadom, Moore, Bacuna, Swift, Ilori, Meite, Rinomhota, Kelly, Loader. Subs: Walker, O'Shea, McCleary, Aluko, Sims, Blackett, McNulty. Stuart Dallas’ first goal of the season and a late Bailey Peacock-Farrell penalty save secured Leeds United all three points at Elland Road against Reading in the Sky Bet Championship. Leeds had a great chance to take the lead inside two minutes. Pablo Hernandez was found in space in the Reading box, he then crossed and Barry Douglas had a free header at the back post, but could only head off target. Reading’s first opportunity came nine minutes later from a free-kick on the right touchline. Leandro Bacuna attempted to lob Bailey Peacock-Farrell, but the Leeds stopper was able to turn his fine effort over the bar. Everyone inside Elland Road rose to their feet in the 11th minute, to pay tribute to Gary Speed, with it being seven years to the day that the former Leeds star passed away. From the resulting corner, Yakou Meite had a good opportunity with a header, but he couldn’t keep it down. At the other end Mateusz Klich delivered a lovely cross from the right side and Kemar Roofe attempted a scissor kick, which was superbly blocked. The Whites then went close from a Douglas free-kick, Roofe headed just wide, but was flagged for offside. Danny Loader saw an effort deflect wide of Meite, whilst Roofe was just too high with a strike from the edge of the box as both sides looked for a breakthrough. Klich then teed up Roofe to strike, his effort deflected into the path of Alioski who was denied well by Jaakkola, but once more the flag was up for offside. In the closing stages of the first half, a Douglas cross deflected wide off Alioski at the back post, before the Macedonian was shown a yellow card, when a deflected Lewis Baker shot came into his path, but he was adjudged to have dived in the Reading box, as referee Mike Dean waved away any penalty appeal. Leeds made two changes at the break with Jack Clarke and Samuel Saiz replacing Baker and Alioski and the duo almost had an immediate impact. Clarke found Saiz in the box, but his effort deflected just wide. The Whites again went close in the 56th minute, Douglas delivered a brilliant cross from the left, which Roofe headed at goal, but he was denied by a fantastic stop from Jaakkola. Leeds took the lead on the hour mark, Douglas fired a low cross into the box, Roofe was denied by Jaakkola once more, but there was no stopping Dallas with the rebound. The Whites could have made it two when Clarke found Hernandez in the Reading box, but the Spaniard scuffed his effort wide. Peacock-Farrell did well to deny Josh Sims who broke into the Leeds box, with a low save, before Clarke fired a fizzing cross into the box and Roofe fired at goal, but he was once again denied by the impressive Jaakkola. In the 89th minute there was late drama. Douglas felled Sims in the Leeds box and Reading were awarded a penalty. Royals substitute Mark McNulty stepped up to take the spot kick, but he was denied by a fine Peacock-Farrell stop, with the 27,806 supporters erupting Elland Road. Leeds then saw out stoppage time, with Peacock-Farrell mobbed by his teammates, to claim back to back victories.